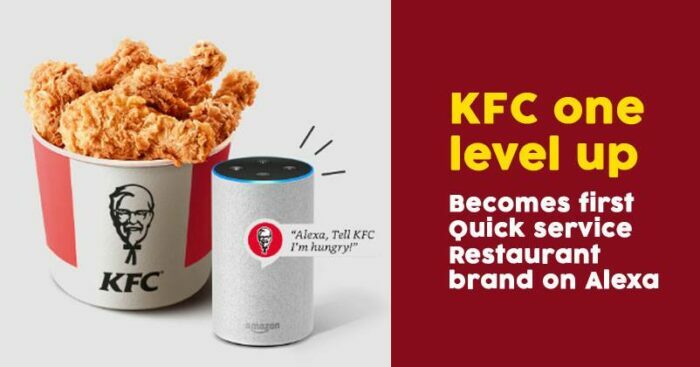 Thanks to this happy marriage of food and technology, KFC India becomes the first QSR brand in the country to associate with Alexa for online ordering. Dominos’ Siri-style ‘voice ordering’ system, developed by speech recognition firm Nuance, features software that sits alongside the brand’s virtual assistant ‘Dru Assist’. Spirits brand, Patron Tequila, partnered with Amazon’s Alexa to bring its ‘Cocktail Lab’ recipe library to consumers via voice activation. British online supermarket brand, Ocado, released its app for Amazon’s Alexa to enable customers to add groceries to their shopping list by voice command. Whirlpool announced a collaboration with Amazon’s Alexa that will see home appliances operated by speech. In 2016, PayPal announced an update on its app on the iPhone and iPad to support a new payment transactions service via Siri, allowing users to send and request money in 30 countries around the world by voice. Burger King capitalized on Google Home devices through a TV ad promoting the phrase ‘OK Google, what is the Big Whopper burger. Whiskey giant Johnnie Walker announced a collaboration in 2017 with Amazon Alexa to create the new ‘Johnnie Walker Skill’. Uber also allows users to book cabs via voice command to Alexa and Google Home. On that note, in India, both Ola and Uber allow you to do the same. Kids – “Alexa, open Chhota Bheem Adventures” lets children indulge in an immersive game wherein India’s favorite little hero explores the caves of Dholakpur and bring his friend Kalia back home. 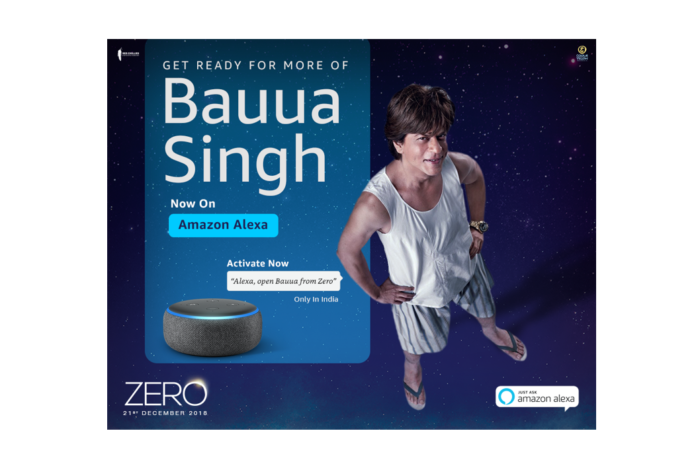 Entertainment – PVR has introduced its “PVR cinemas” Skill enabling consumers to book tickets and even have a conversation with the lovable ‘Bauua’ from the movie Zero, available as a Skill on Alexa. So Is Voice The Future For India? Given the fact that our literacy rate is about 70 percent and the recent report on the quality of education paints a dark picture of reading skills, most people will be comfortable with speaking; an opportunity that voice is now providing to brands. Voice commands are definitely the need of the hour and with this going forward the use of voice assistance could definitely make life easier especially in the rural areas and provide brands a great opportunity to touch the lives of those people. KFC may be the first brand, but others won’t be behind and history proves that in this category, the first mover advantage is insignificant. Today almost all restaurants are on platforms like Zomato and Swiggy and tomorrow, they could all be on Alexa. But clearly this is where the future is and brands could and should leverage it in a big way making digital a part of everyday life even for those who may not be well read.